Family, Filipino Food, What to eat Mom? I love mornings. I have my quiet time while preparing breakfast @ 5:30am. Enjoying the early morning music of boiling water for my coffee. Fresh brewed coffee makes me start my day with a smile on my face. C and I get to enjoy quality time eating breakfast. Talking about what his day will be and me asking and planning dinner with him. It’s just breakfast and we’re talking about what to eat for dinner. 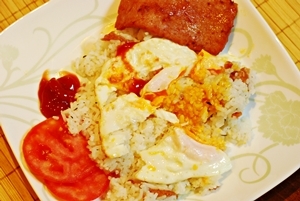 Today’s breakfast I prepared Garlic Fried Rice, Sunny-side-up Egg, and Ham. All fried in my trusty wok. 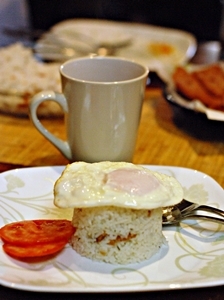 Filipinos love a heavy breakfast and would almost always require an egg. We have a lot of “*silog” breakfast menu: TapSilog – beef tapa, LongSilog – longganisa (sweet pork sausage) , BangSilog (daing na bangus), HamSilog (ham). 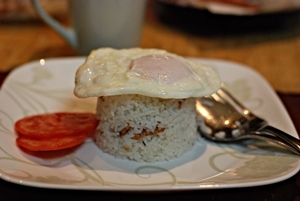 *”Silog” stands for Sinangag na Kanin (Fried Rice) and Itlog (Egg). 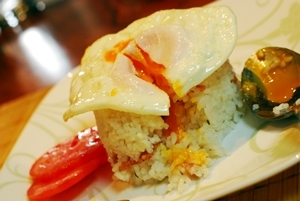 If you have notice we use the first 3 letters of the main meat that goes along rice and egg. 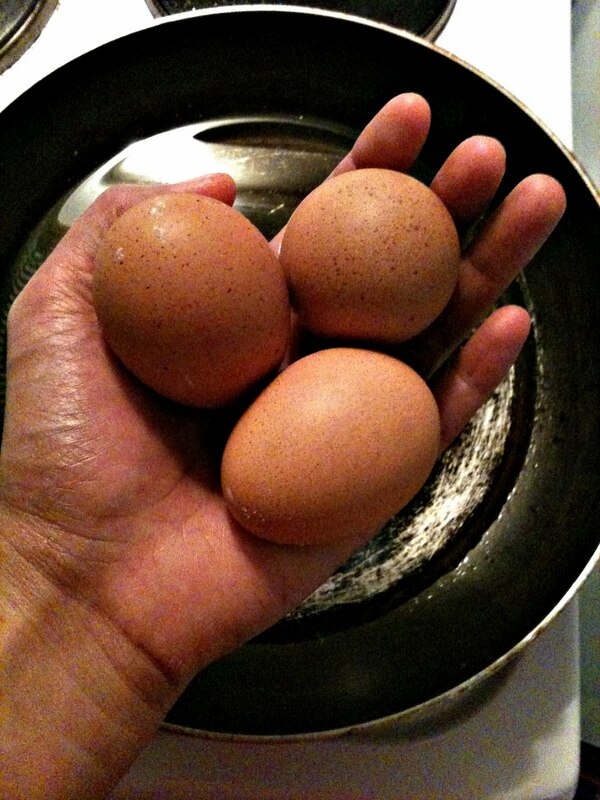 How do you crack your eggs? I used to crack my egg on the side of a bowl or counter but I always end up having bits of shell at the end. One TV chef suggested to crack the egg on a flat surface. I did just that and no more shells. Wishing each one of you an Eggirriffic Morning! This entry was posted in: Family, Filipino Food, What to eat Mom?